It’s great to drive traffic – online and offline – from all corners of the world. But if you’re a smart marketer, you’ll realize you don’t have to be so international – at least not when it comes to search engine optimization (SEO). Thanks to local search, businesses don’t have to squander resources on attracting customers and visitors that are beyond their geographic reach anyway. One can instead focus on catering to the heart of the locals. Want to find out how? Here’s a list of 17 great local SEO and local search tips, tricks, and tools to help you get started. Claim. Claim your local listing on Google Places. 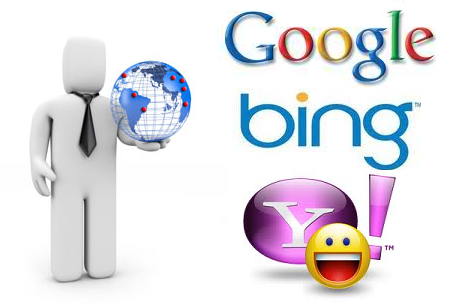 While you’re at it, go to Bing Local and Yahoo Local and claim your listings there, too. Apply best practices. Read our guide on Google Places to put yourself closer to the center of the map. Submit your info to the online yellow pages. Sign up in online directories and geo-centric portals like InfoUSA, Localeze, Yellow Book, Yellow Pages, dmoz Open Regional Directory, Yelp, Super Pages, and Citysearch. Go local and social. Leverage the power of social media marketing by creating profiles in geo-social services and apps like Foursquare, Facebook Places, and Gowalla. Add photos. When submitting listings, don’t forget to add pictures of your business. And we’re not just talking about logos. If you can, include product shots and snapshots of your awesome façade, too. Encourage reviews. Don’t quite know how? Read our guide on soliciting customer reviews and testimonials. Promote specials. Coupons, discounts, special offers, free shipping privileges, and daily deals: these are some of the little things that give you the edge whenever a potential customer is trying to choose between you and the competition. Create your own and promote them across all websites where you have a presence. Place local information. On all the pages of your website, make sure you have a physical mailing address and a phone number that’s not actually a 1800 number. Insert this info in your title tags and meta descriptions, too: doing so allows you to reinforce your geographic location in the eyes of search engines. Serving more than one location? Create location-specific landing pages. It’s not unusual for a business to have branches or outlets. But if you plan on creating local listings in several cities or locations, make sure that each of them leads to their own location-specific landing page or website. Mention other areas where you are. And do so within the context of your content, as opposed to merely compiling them in a list. This is where location-specific blog posts, social media content, and press releases can come in. Join niche communities. There are plenty of great little ways to popularize and locally spread the word about your business. Go attend as many industry events happening in town as you can. Get in touch with influential local bloggers whose area of expertise covers your industry. Or join organizations (online and offline) that are relevant to your business. If you’re a veggie / green restaurant in a Chicago, for example, reach out to Chicago farmers and growers associations and environmental advocates. Geo-target your online ads. Running a PPC campaign? Use geo-targeting to boost your results and attract keyword searchers even in queries wherein they don’t actually include their location. Create a mobile version of your site. (We have a guide for that, too.) 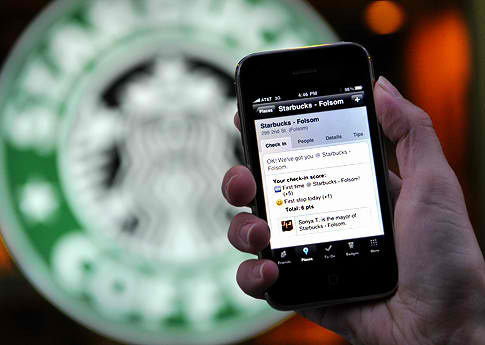 Then supplement the effort by creating mobile ad listings. Smartphone and mobile device users, after all, play an increasingly huge role in local search / local SEO. Create local content. Keyword research is great, but you don’t want to miss the target by ignoring opportunities to “localize” your content. If you’re in Chicago, write about things Chicagoans can relate to. Don’t hesitate to reference local culture or show your familiarity with the local demographic. Post on Craigslist. Create optimized Craigslist ads that feature not just relevant keywords and local information, but also a persuasive call to action that leads readers to visit your website. Use info to improve. Analytics tools deliver the info you need to go to the next level. We have the ultimate list of competitive intelligence tools, so check that out. Furthermore, try some location-specific analytics services, like Local Search Toolkit (a Google Places results analyzer that lets you enter a keyword and analyze search data from Google Places) and BrightLocal (with its suite of tools such as a local search rank checker, ReviewBiz customer review tool / widget, and one-stop directory manager). Great list, I hope my Social Media clients don’t find this! 😉 I found this post after searching for “yelp, craigslist, google places, and facebook pages”… in that order, those are the things working best for my clients. Here’s a question: I’m trying to get my clients to capture emails from customers so they can remarket to them in the future. What do you think about this? Is this process too “old skool” with the advent of things like Facebook Places? Would you do both, i.e., get email addresses to send out marketing and encourage likes on FB? Keep up the great content!! Hi, thanks for the comment! You’re right, local search is becoming more and more crucial in every SEO campaign. I’m glad you’ve convinced your clients of that. But E-mail marketing isn’t about to lose its value just yet. It’s not “old school” at all. It can be part of a multi-prong campaign to sustain your relationship and level of engagement with people who actually loved your content / biz / brand so much that they signed up to receive E-mails or, at the very least, were willing to share their addresses. That, in the long term, just might be more valuable than the single-click likes or retweets or check-ins. They’ll certainly be more receptive to what you have to offer.